Living in one of the best cities ever means that you get to play host to friends from out of town pretty regularly. Usually, people only have time to visit for a weekend or a few days, so I have to condense a LOT in a small amount of time. That’s why I created a MUST-SEE agenda which covers the most popular sights to see in SF in a single day, leaving the second (or third) day free to explore other parts of the Bay Area. 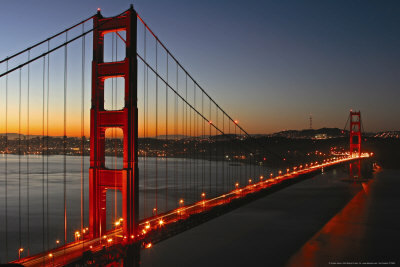 The Golden Gate Bridge is probably the most?recognizable San Francisco landmark. ?It’s great to see during the day, and since it will be likely be the first thing you will want to see, you might as well get to it immediately. Wear layers, it’ll be windy. Don’t drive on the bridge, walking on it is way more fun! Park at the Vista Point (keep an eye out for the signs, it’s the “last SF exit”). While you’re there you can snap pics of the bay, including Alcatraz and Angel Island. Don’t get distracted by the gift shop! You don’t want to carry?souvenirs?around with you all day, there’s time for that later on. The Bridge is about 1.5 miles, so it’s a 3 mile walk out and back, if you’re up for it. While you’re by the Bridge, you might want to consider going to the Palace of Fine Arts or Baker Beach for some great photo opportunities. (This is a good option if you don’t want to walk the bridge and you have time to spare before going to the next stop.) You won’t have time for both, so I’d recommend picking only one. Option A: Palace of Fine Arts:?Stunning building with a pretty man-made duck pond. Option B: Baker Beach: Great full shot of the Golden Gate Bridge from the beach. 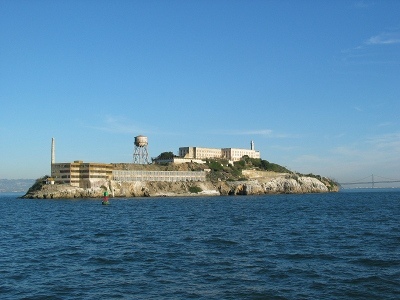 Alcatraz Island is an infamous prison and popular tourist attraction. I’d recommend buying tickets as soon as you’ve confirmed your travel plans to SF because tickets go fast, especially on weekends. I highly recommend getting the self-guided audio tour. Plan to dedicate around 2 hours to Alcatraz Island. The Ferry Boat ride is about 15 minutes, the audio tour is about 45 minutes. Ferry Boats return to SF every 20 minutes or so. Again, dress in layers, it’s windy on the water! Keep your camera with you, there are plenty of great photo opportunities, including going inside a prison cell and a spectacular view of SF from the island. Parking Garage info if you are driving. Boudin Bakery: Stay downstairs in the cafe, where service is faster. You can also buy a sourdough loaf shaped like an animal. In-N-Out Burger: Popular California fast food restaurant with a “secret” menu. 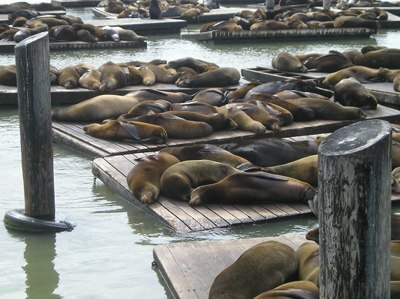 Sea Lion Cafe: Located on Pier 39 right next to where the famous San Francisco sea lions live. And many more, take your pick! After lunch, walk around Fisherman’s Warf and Pier 39, there’s lots to see and do. It’s a very busy and bustling tourist spot. 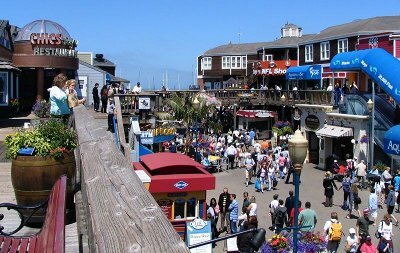 I usually take friends to see the sea lions at the pier (at the end, left side, outer pier), and stop in the?souvenir?shops, but I try not to get too distracted! 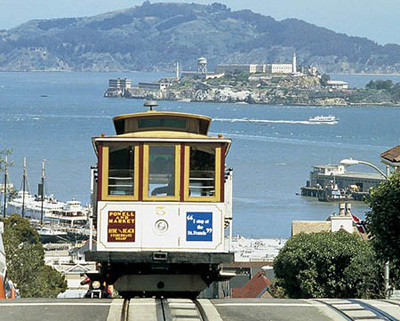 You’ve got to ride a cable car while visiting SF. But here’s the trick: Don’t wait in line with all the tourists at the Pier. The cable cars have stops, just like a bus or train, so you can catch the trolly car at one of it’s stops and hop on. The conductor will ask you for the fare (which is $5) after you board. I recommend walking to Lombard and Leavenworth (about 20 minutes from Pier 39), in order to check out Lombard Street, aka the Crooked Street. From there it’s a short walk to Columbus and Lombard cable car stop! Take it to the end of the line, Powell station. Stand directly in front of the Cable Car stop, otherwise the driver won’t stop! Cable Cars come about every 15 minutes. If you drove in to the city, you can get your car out of the garage early and drive down the Crooked Street (Lombard). ?Continue on to Union Square and park there. Or, you can always take the cable car or a cab back to the pier. 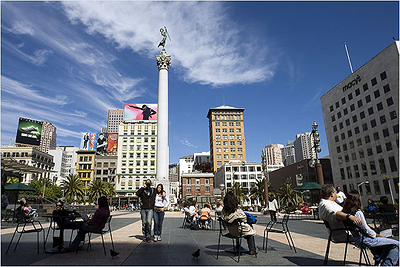 You are now in Nob Hill, the heart of SF and our Downtown. Walk around Union Square (tip: keep an eye out for one of the SF Hearts). You might also want to check out street performers at Powell Station. SF View Lounge: Great views of the city while you have a drink. Gold Dust Lounge: Affordable and popular lounge right on Powell street. Bourbon and Branch: Pricey but?extremely?popular and well reviewed lounge and speakeasy. Cheesecake Factory: Popular chain restaurant?at the top of the Macy’s building. It gets busy there, but it has an extensive menu with something for everyone. Nob Hill Grille: The most amazing hamburgers ever. Haight Street/Golden Gate Park/Pacific Ocean: Haight Street is the birth of the counter-culture in the 70s. This street boarders Golden Gate Park which features museums and beautiful gardens. The park goes all the way to Ocean Beach which overlooks the Pacific Ocean and is a popular place to host bonfires. Chinatown/North Beach: San Francisco’s Chinatown is the most vibrant neighborhood in SF (and I would go so far as to say in the US). Chinatown neighbors the eclectic North Beach neighborhood which is known for it’s?Beatnik?roots and Italian restaurants. The Mission: Known for it’s excellent food, especially Mexican cuisine. The Mission has a reputation for being a “hipster” neighborhood, and features fun dive bars and clubs. Napa: Wine country is about a 2 hour drive from San Francisco and makes for an excellent day trip. Berkeley and Oakland: Berkeley is a thriving college town and cultural center, and Oakland boasts many amazing restaurants and jazz clubs.